Dallas – November 26, 2013—December wouldn’t be complete without a multitude of Christmas movies—old and new. At Alamo (100 S. Central Expressway #14, Richardson, TX 75080) this month, we celebrate Christmas movies on the big screen as they were meant to be seen—some surprising, others it just would be Christmas without. http://drafthouse.com/dfw/richardson. "You can't NOT show the Christmas classics during December, but we've all seen them a million times when they marathon us to death with them every year during this time. So we decided to re-gift a few of everyone's favorite holiday films by making them interactive! We're talking quote-alongs, sing-alongs, props to play along, themed food and more. ELF, A CHRISTMAS STORY, CHRISTMAS VACATION, HOME ALONE, BAD SANTA and LOVE ACTUALLY have all gotten the Alamo Drafthouse treatment with Action Pack. And of course we have the presents under the tree and trinkets in your stockings that you expect—everything from IT'S A WONDERFUL LIFE to NIGHTMARE BEFORE CHRISTMAS! While we didn't want to be a Scrooge, we threw in some of the unconventional favorites—SCROOGED, DIE HARD, GREMLINS, and even a few misfit toys like AMERICAN PSYCHO and EDWARD SCISSORHANDS," said James Wallace, creative manager, Alamo DFW. 12/5 - Prohibition Night in honor of the 80th anniversary of the repeal featuring LAWLESS with "Wettest County in the World" author Matt Bondurant, Prohibition-era cocktails, moonshine, 1930s music, 'Meet The Distiller' with Herman Marshall Whiskey, and more! “All in all, if you've been a good little boy or girl, you should get everything you asked for this December at Alamo Drafthouse Richardson including amazing first run movies such as OUT OF THE FURNACE, HOBBIT: THE DESOLATION OF SMAUG, WOLF OF WALL STREET, THE SECRET LIFE OF WALTER MITTY and more!" concluded Wallace. 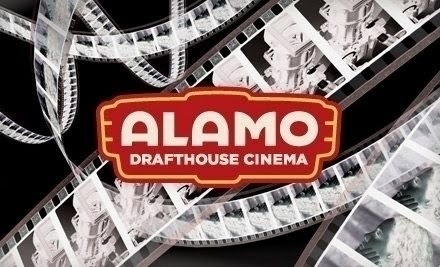 The Alamo Drafthouse is a lifestyle entertainment brand with an acclaimed cinema-eatery, the largest genre film festival in the United Sates and an online collectible art store. Named “the best theater in America” by Entertainment Weekly, the Alamo Drafthouse Cinema has built a reputation as a movie lover’s oasis not only by combining food and drink service with the movie-going experience but also introducing unique programming and high profile, star studded special events. *Please note: Some dates subject to change. Always check http://drafthouse.com/dfw/richardson for up-to-date showtimes and tickets.